Titled Scorpion, the new music will be released on June 29, according to a post on the Canadian rapper’s Instagram account. The 31-year-old Toronto native posted a black-and-white image of himself, along with his signature and the phrase, “Scorpion 2018”. It is unclear if it is the album’s artwork. The image caption read: “June 29 2018” and was accompanied by a scorpion emoji. As well as announcing a release date, Drake reunited the cast of Degrassi, the teen drama he starred in before launching his music career, for the video for his previously released single I’m Upset. It features his co-stars Ephraim Ellis (Rick Murray), Nina Dobrev (Mia Jones), Lauren Collins (Paige Brooks), Shane Kippel (Gavin “Spinner” Mason), Stefan Brogran (Archie “Snake” Simpson) as well as others. The video was directed by Karena Evans, who also oversaw the visuals for Nice For What and God’s Plan. 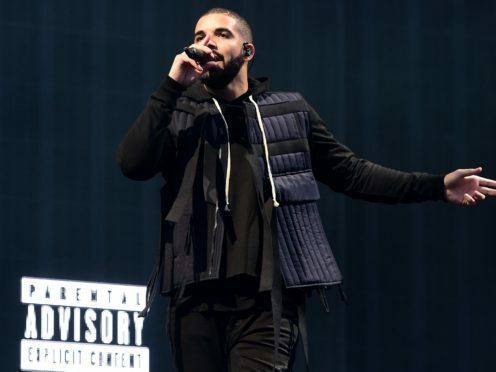 Drake is currently embroiled in a feud with fellow rapper Pusha-T, who released two songs attacking the Nice For What star. On Wednesday, it emerged Drake had a writing credit on Kanye West’s latest album, Ye, contributing to the song Yikes.